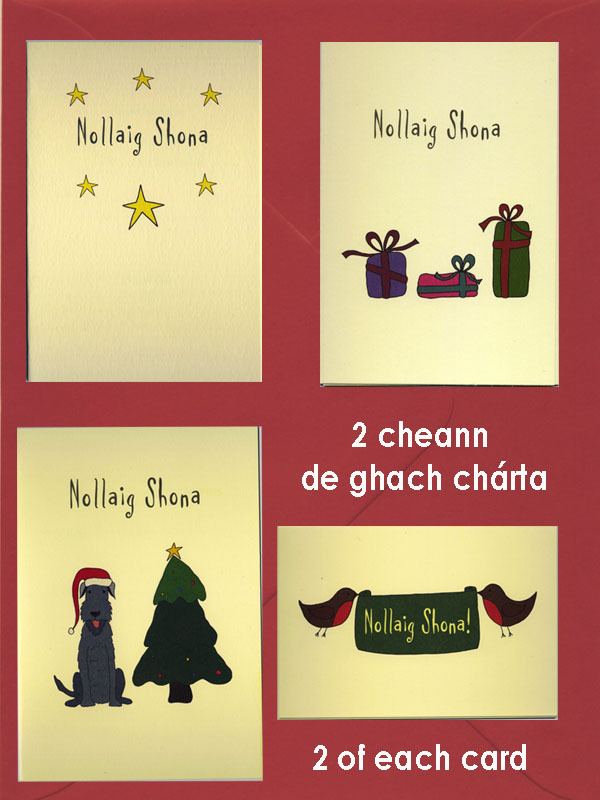 Front: Nollaig Shona (Happy Christmas). Not necessarily all the cards shown. Size: 110mm x 155mm, 4.33" x 6.10".